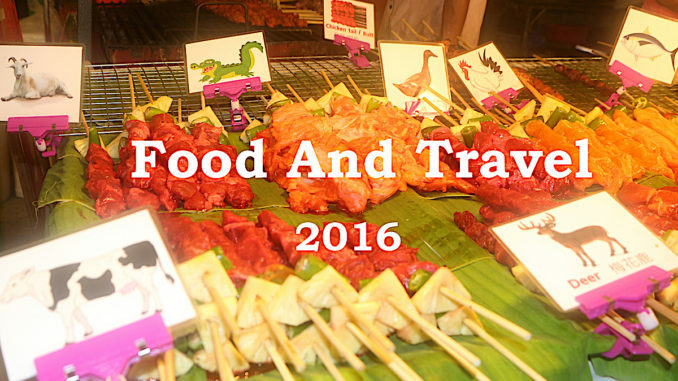 Food and travel in 2016 stretched us to try many new cuisines. Our taste buds were sometimes challenged! But often our food and drink favourites came in great quantity and variety! 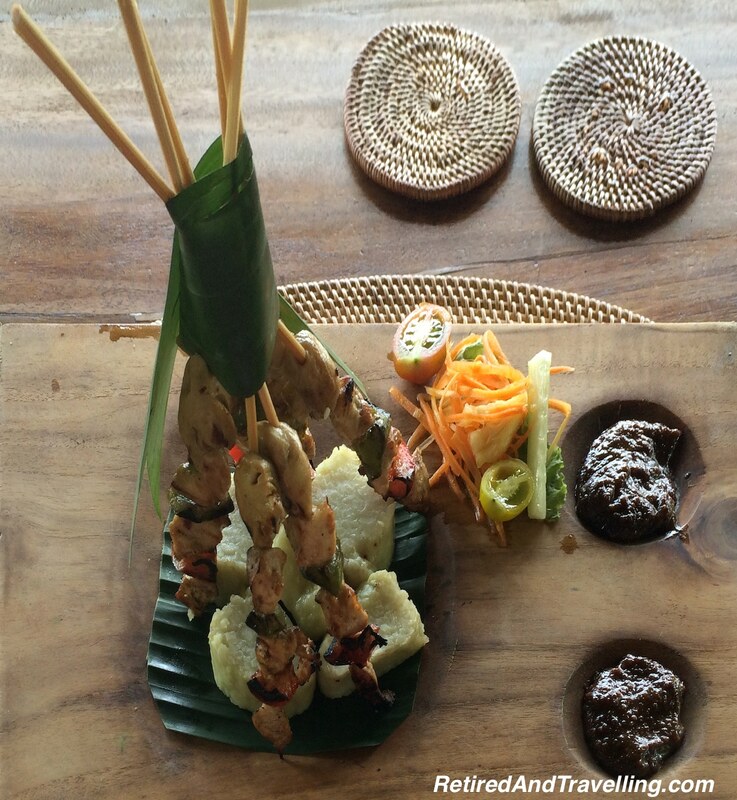 As we travel and experience authentic local foods and drinks, we are becoming quite snobby about certain things. So sometimes our travel included quests in search of great local options. 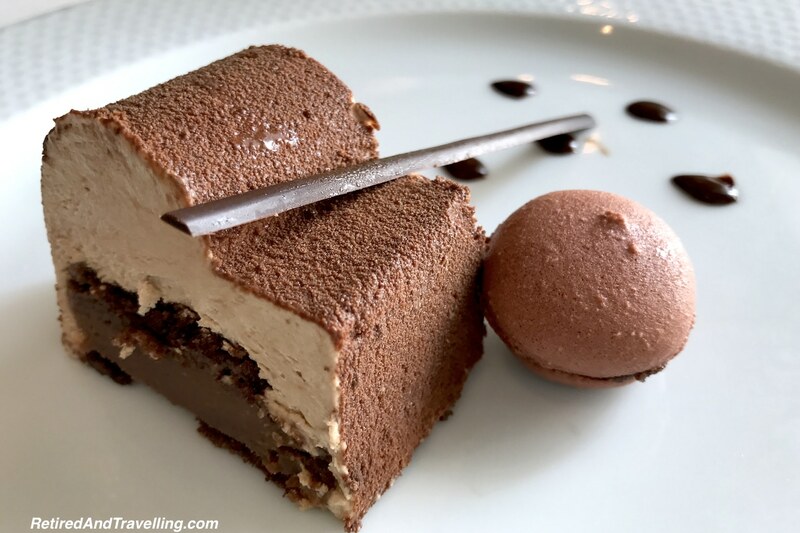 While we often pass on desserts at home, travel seems to bring so many tempting options. For chocoholic David, there was always a new chocolate treat to try. 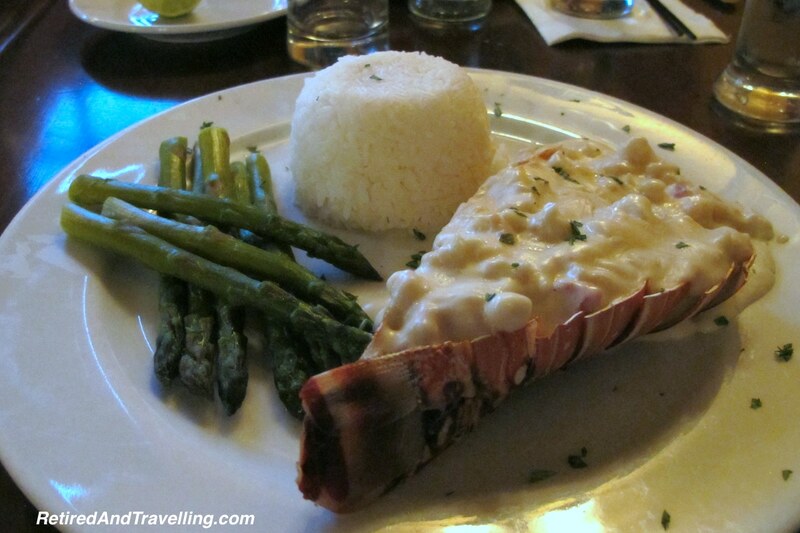 And wherever we went, we would make a toast to our travels and the great food we found! We have admitted to being spice wimps. Salt and pepper are spice for us! We blame it on our mothers! 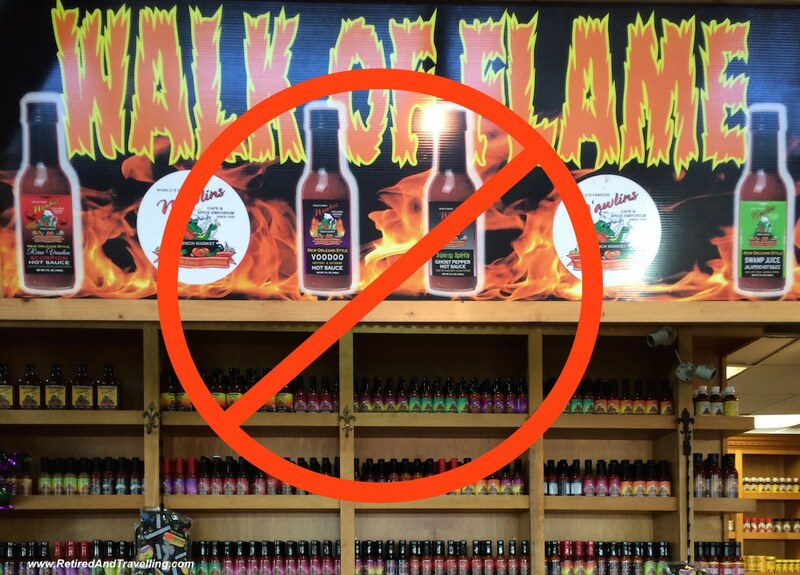 We knew that we did not like hot spicy foods that burn going down. 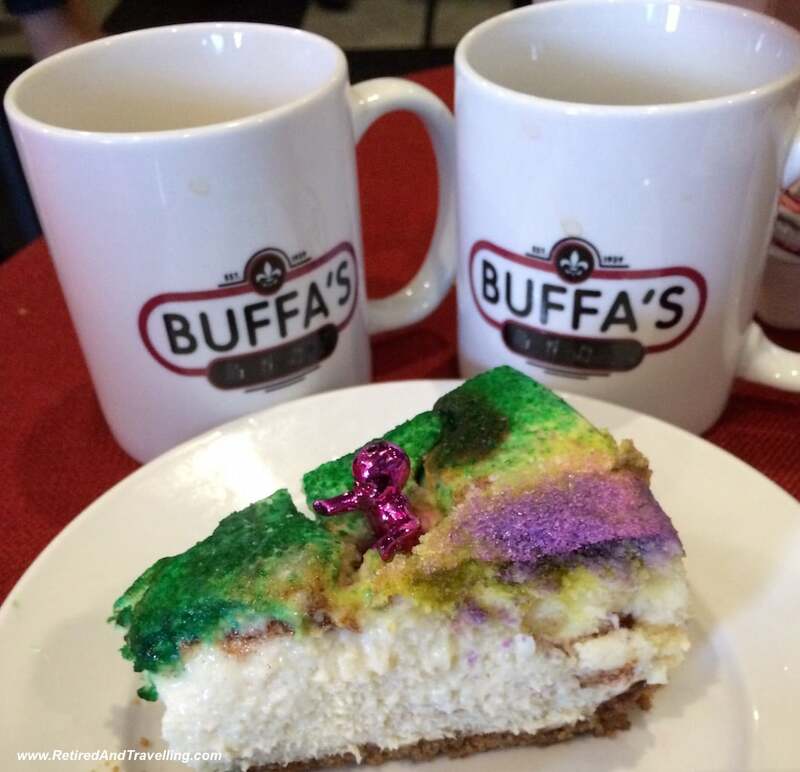 Our first challenge with food and travel in 2016 came when we visited New Orleans at Mardi Gras. 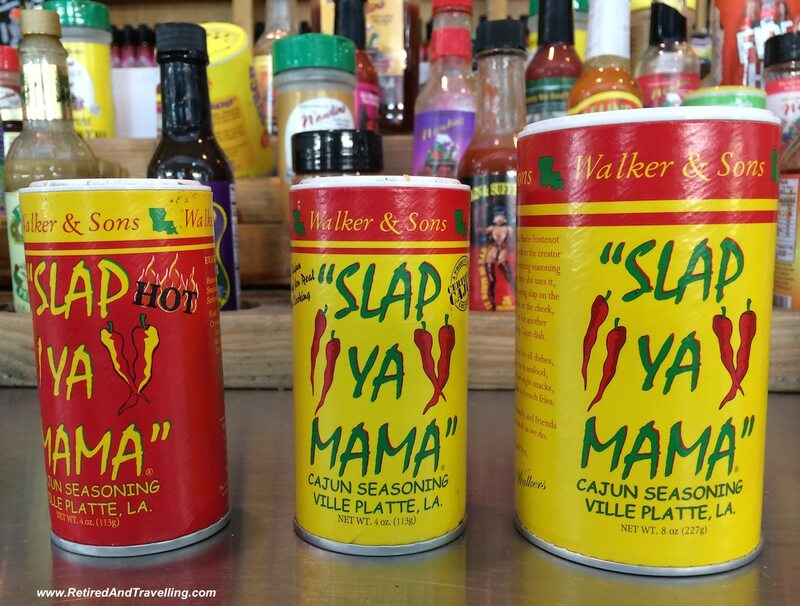 New Orleans is foodie-heaven but for us it was a mine field. We need only visit the French Market and see the spices for sale to know we would need to be careful! Our trip to SE Asia was also at times a challenge for us. The food was flavourful and colourful. But hot chillies seem to be a stable in many of the dishes in Bali and Thailand. We learned to stop asking “is it spicy”. For the locals, the answer was always “no”. We finally just learned how to say “no chillies”. We finished the year with travel in India and Africa. I would like to say that experience stretched the boundaries of our taste buds. But that would be lying! Food and travel in 2016 did not mean “spice”! If we stayed away from spicy food, we loaded up on seafood whenever we travelled. Most of our travel in 2016 took us to sunny destinations that were close to the water. Seafood was plentiful and fresh. Many of the countries we traveled to in 2016 had dietary restrictions – no beef or no pork. So it was a good thing that we love seafood in so many forms! 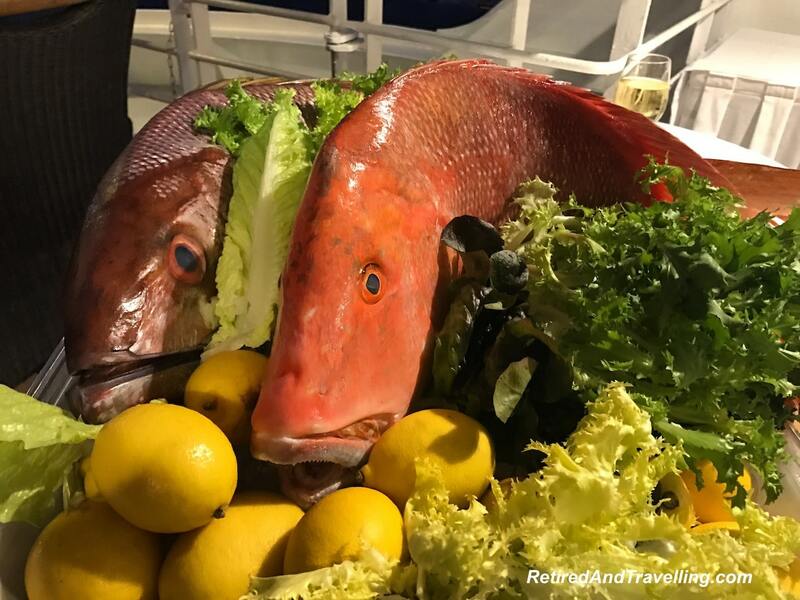 Food and travel in 2016 was always close to the sea! David is often willing to try new local foods. 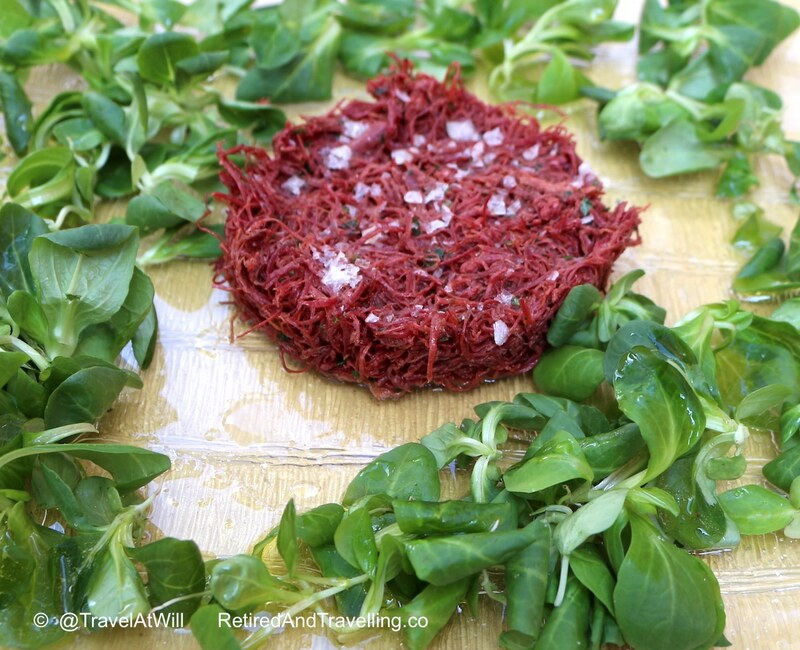 When we travelled in Italy, he tried horse tartar in Mantova (Mantua) and buffalo carpaccio in Sorrento. 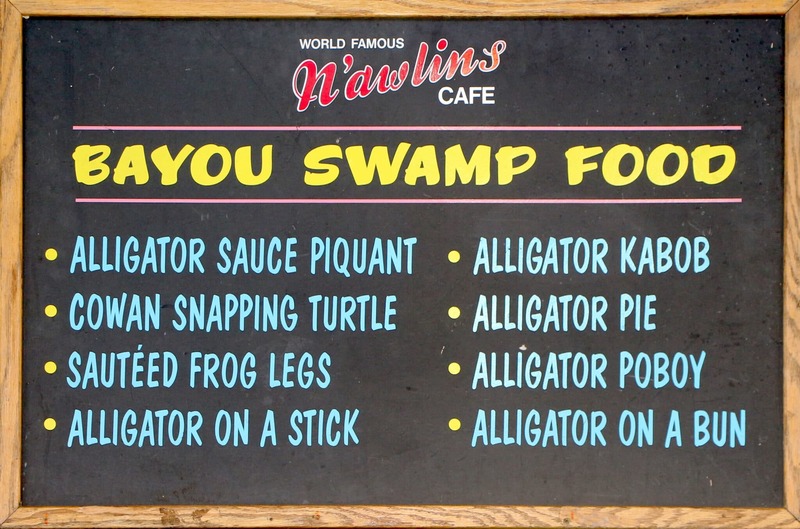 When we visited New Orleans in 2016, David made sure to try alligator in many forms! 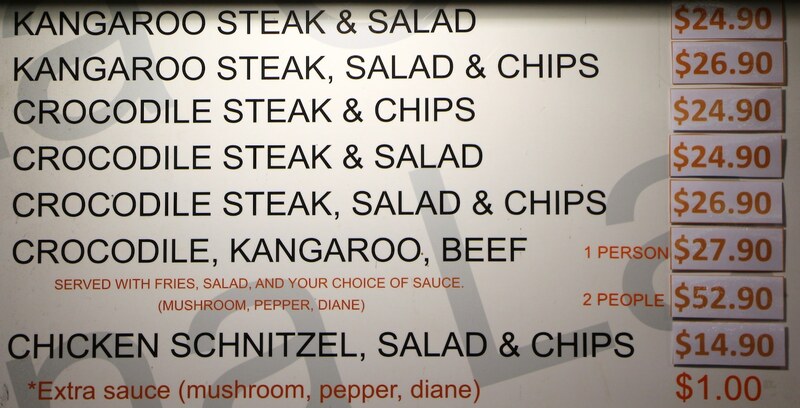 In Australia, we found lots of options to try local favourites like kangaroo. 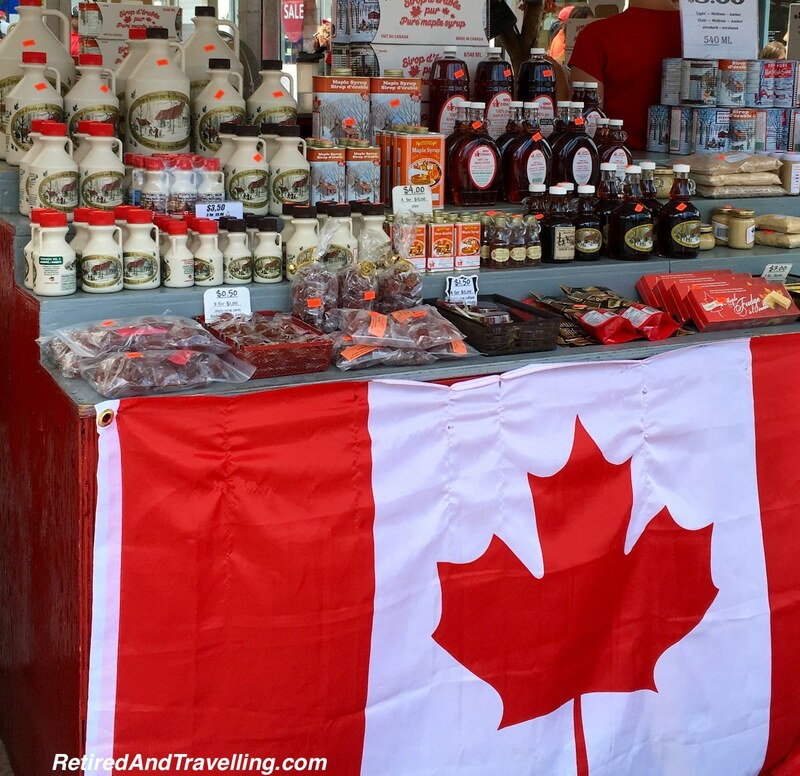 Even when we were travelling at home in Canada, we made sure to enjoy the local specialties. 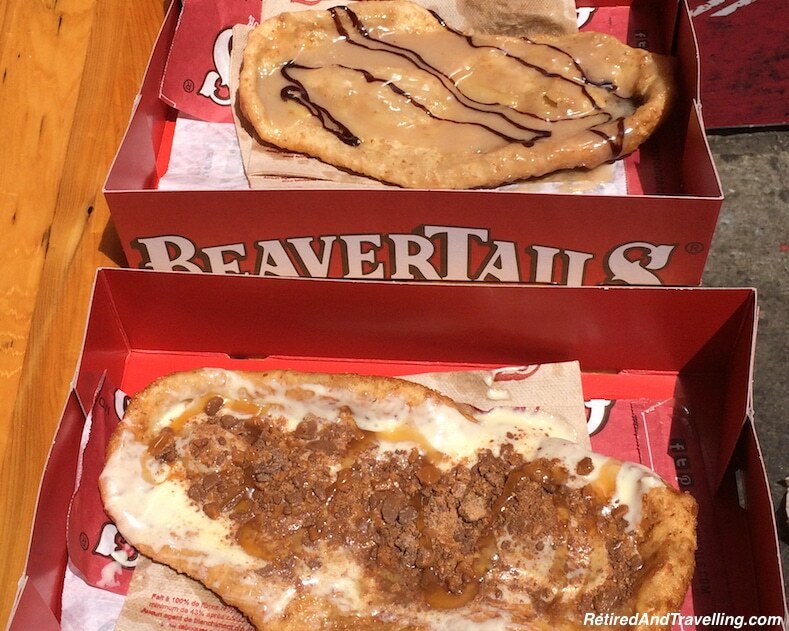 No trip to Ottawa is complete without a Beavertail. 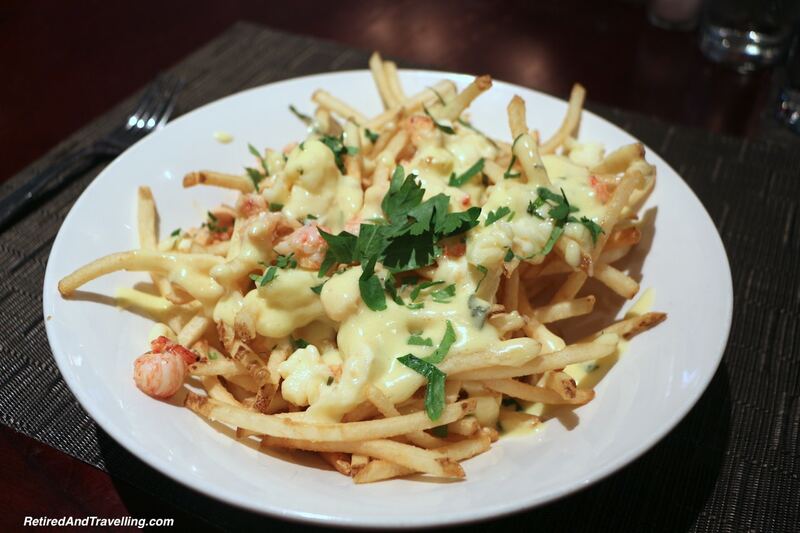 Lobster poutine is a gourmet specialty. Of course, everything tastes better with lots of maple syrup. 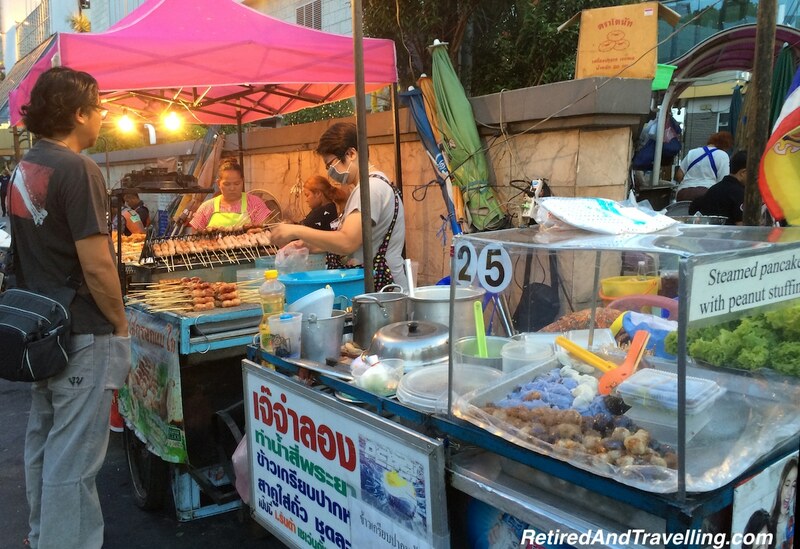 Local food and travel in 2016 provided many new experiences! Eating in Italy has spoiled us in so many ways. 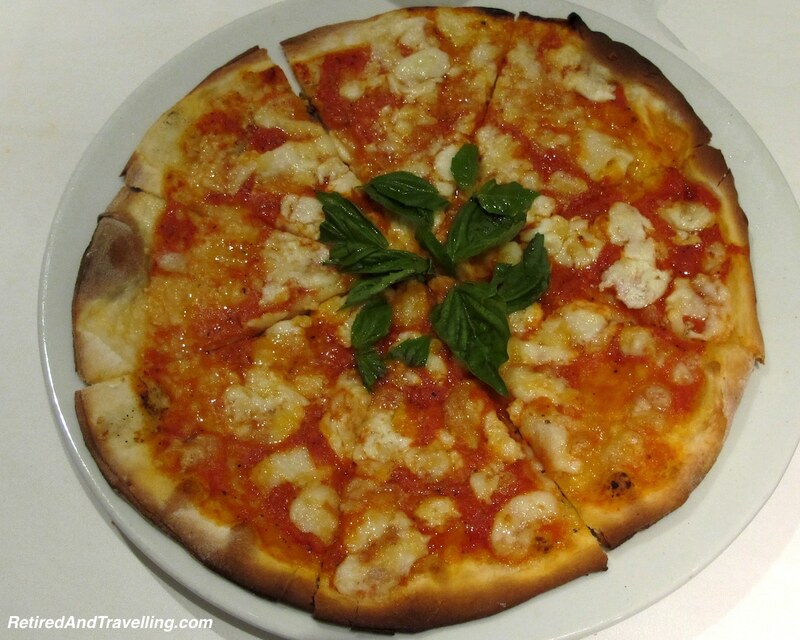 Pizza must be authentic Napoli-style, tomato sauce should be sweet and only fresh pasta will do. In 2016 when we were at home or travelling, it was often a quest to find real authentic Italian food. Our 10 day trip to Nassau in the summer of 2016 was highlighted by our quest for authentic Italian pizza. We tried lots of bad pizza before we finally found a few options that passed the bar! 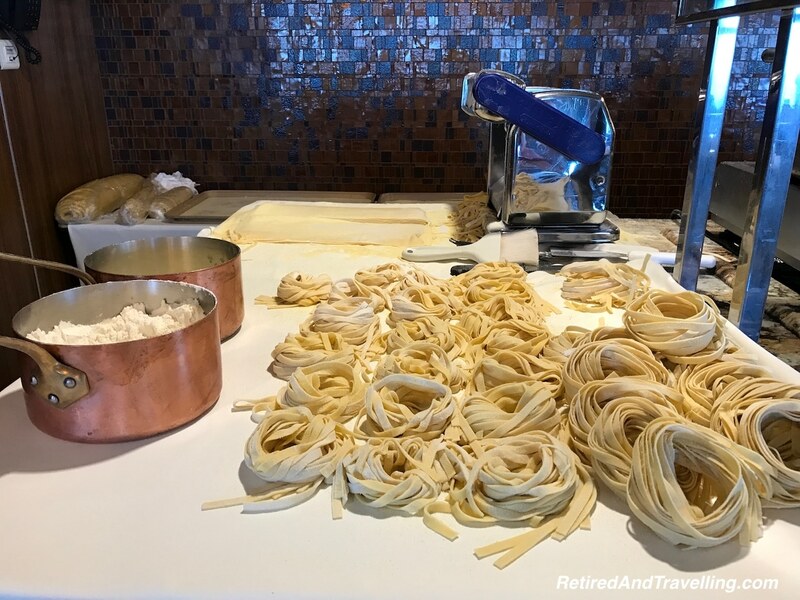 One of the great draws of travelling with Oceania Cruises is their great Italian food. Whether you eat in the Toscana Italian speciality restaurant, the Terrace buffet or the main dining room there were always Italian choices. We looked forward to the daily specials! 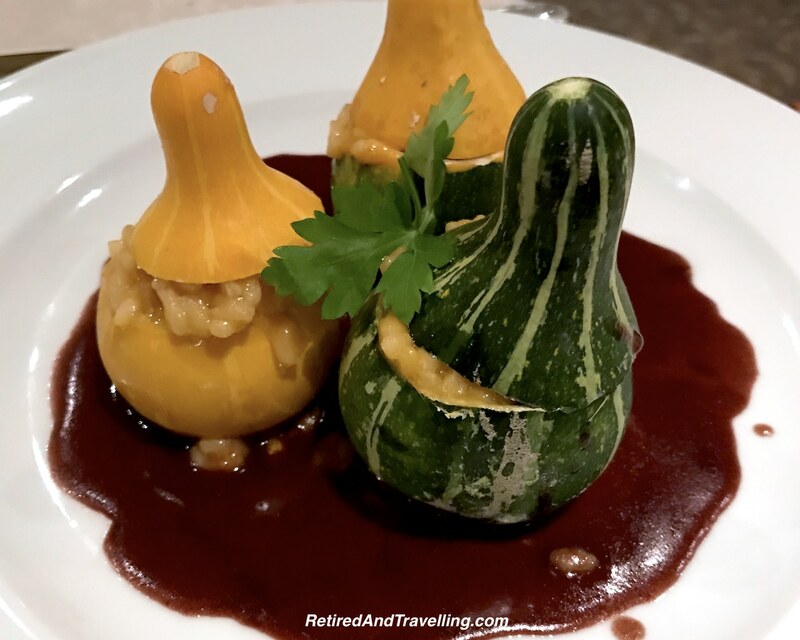 One night the Italian chef was challenged to prove that he could make better pumpkin risotto than I had on a visit to Verona! 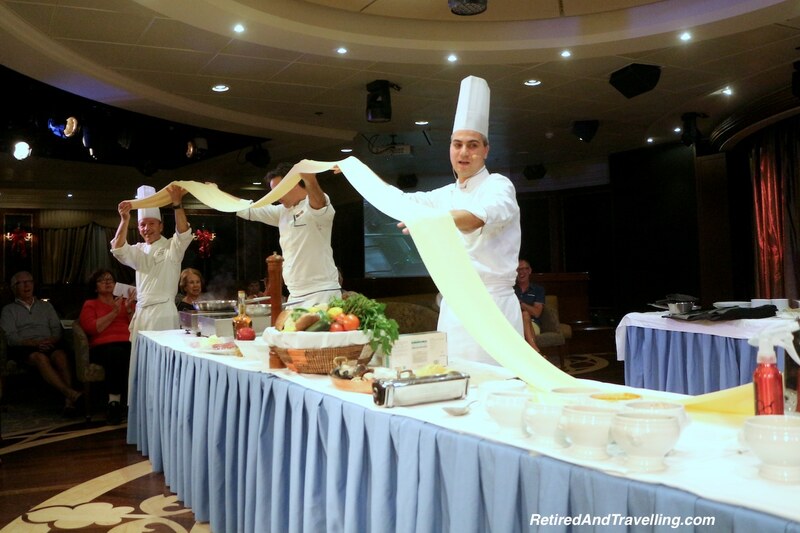 Italian cooking became both fun and educational when the chefs onboard the cruise ship provided cooking demonstrations! 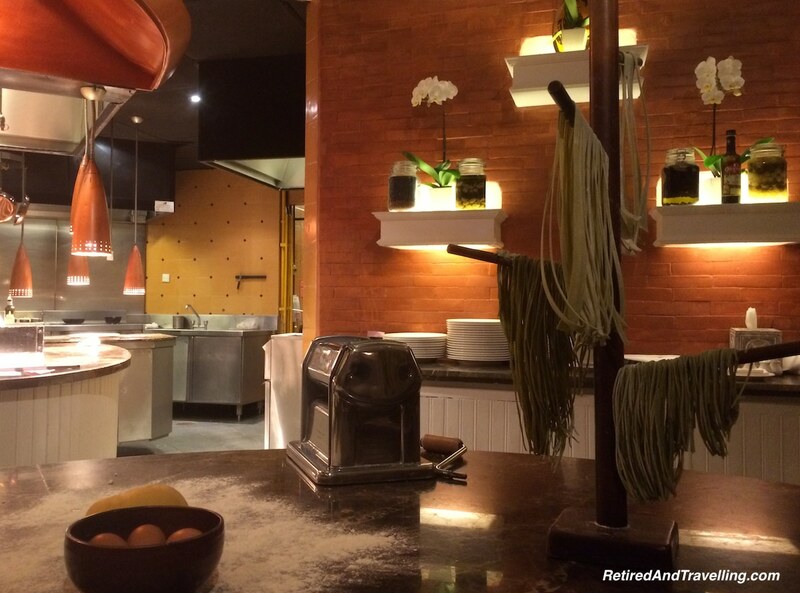 We were surprised when travelling in SE Asia to find a great number of good Italian restaurants! It seemed wrong to pass on local specialties or fresh fish, but every now and then we needed some comfort food. And Italian food fits that bill! 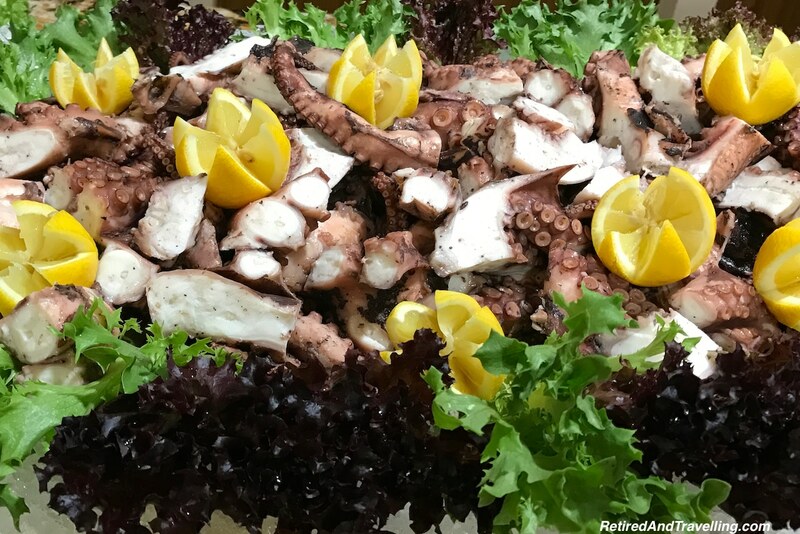 Food and travel in 2016 included lots of great Italian food! Most of the time we will pass on dessert when we are at home. Occasionally we get tempted by Italian gelato. 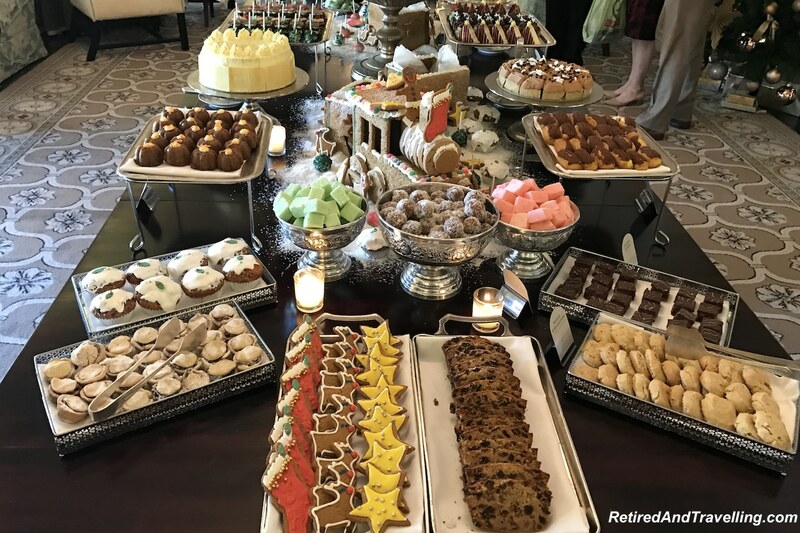 But when it got really cold in Toronto in 2016, we took on an Afternoon Tea challenge! 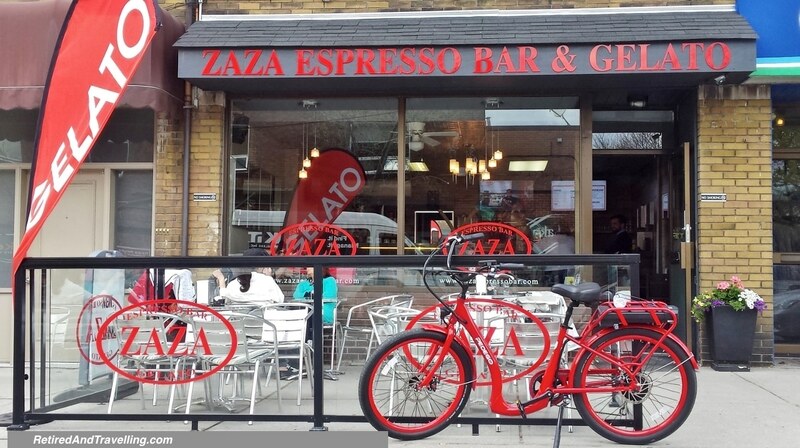 Once a week we headed out for yet another afternoon treat. The variety of teas was great and there were some interesting savoury selections. But the top tier of the tea tray with desserts was the big draw. 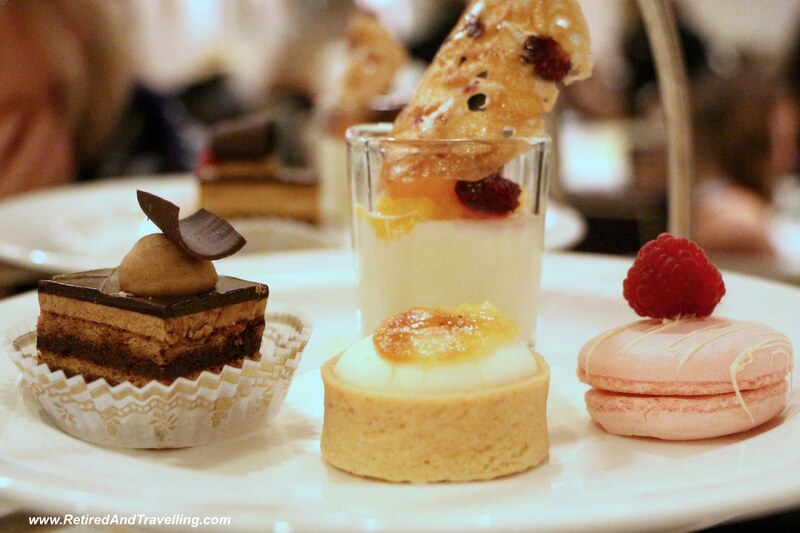 One weekend, we splurged on a chocolate Afternoon Tea in Toronto with new friends we met through social media. 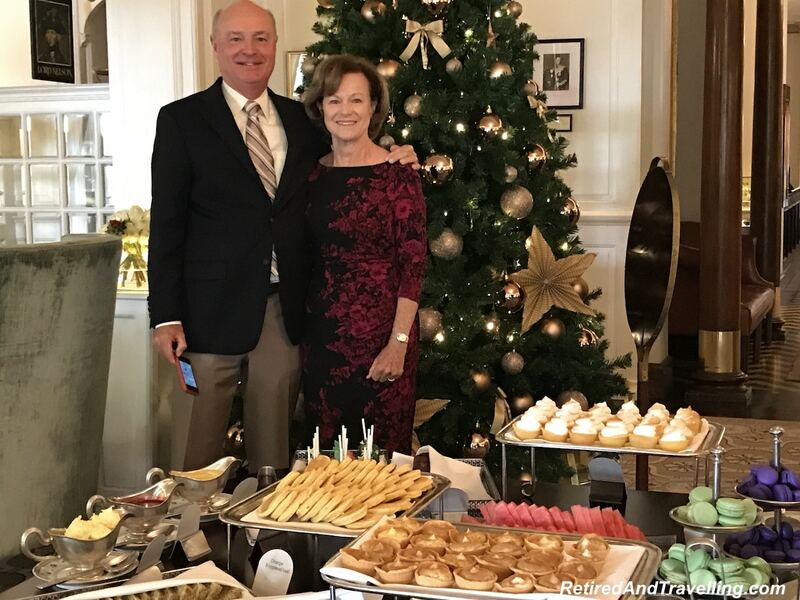 We even celebrated Christmas Day with a great Afternoon Tea in Cape Town with new friends we met travelling on our year end adventure! 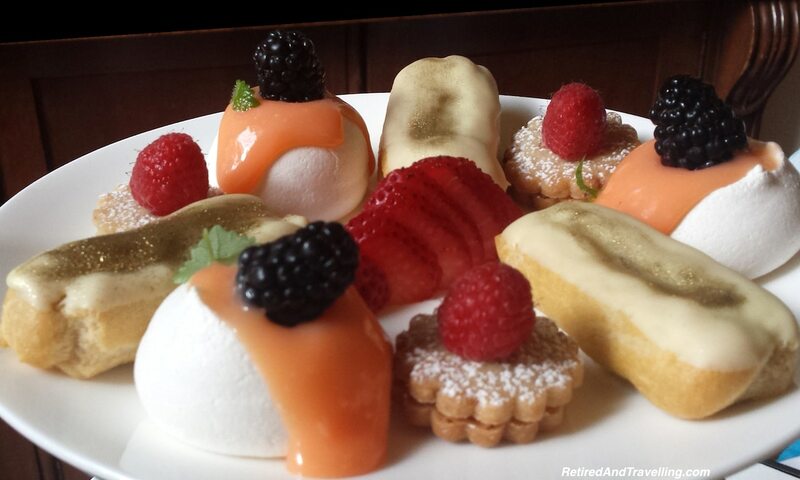 Afternoon Tea is one of the luxury treats when you cruise with Oceania Cruises! Imagine how much grander it got when it was called a “Gala Tea”! 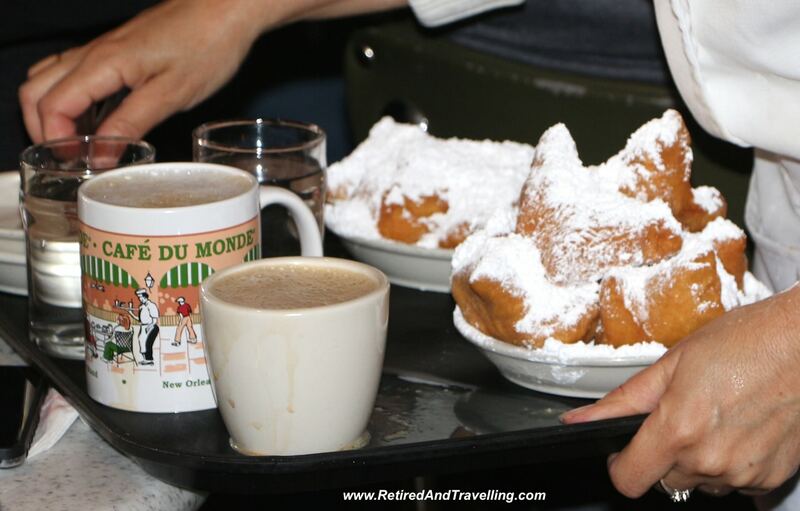 Travelling to New Orleans meant at least one stop at Cafe Du Monde for beignets! 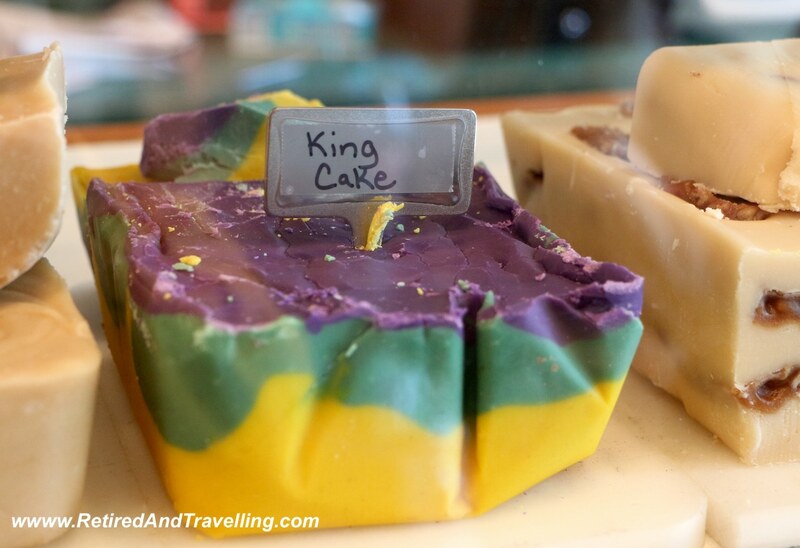 But when you are in New Orleans for Mardi Gras, you also must taste one or two of the special Mardi Gras treats. They will be decorated in Mardi Gras colours (green, purple and gold). 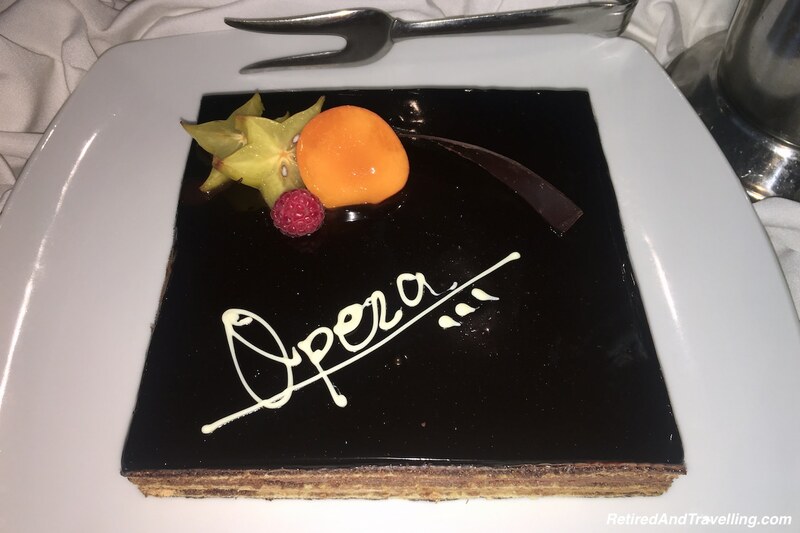 You may even get the dessert with the “baby” that will bring you good luck for the year. 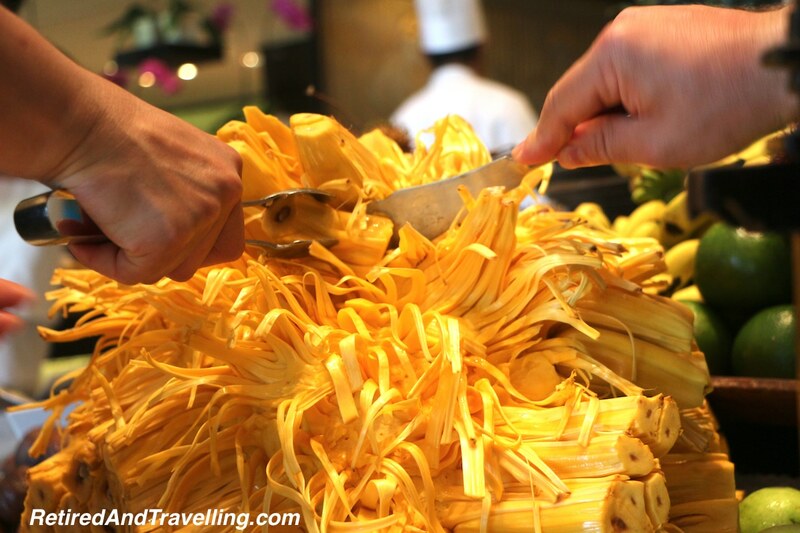 While most desserts were less healthy, while travelling in SE Asia David tried a broad variety of local fruits. There were so many exotic smells and shapes. His favourite was Bali Salak. 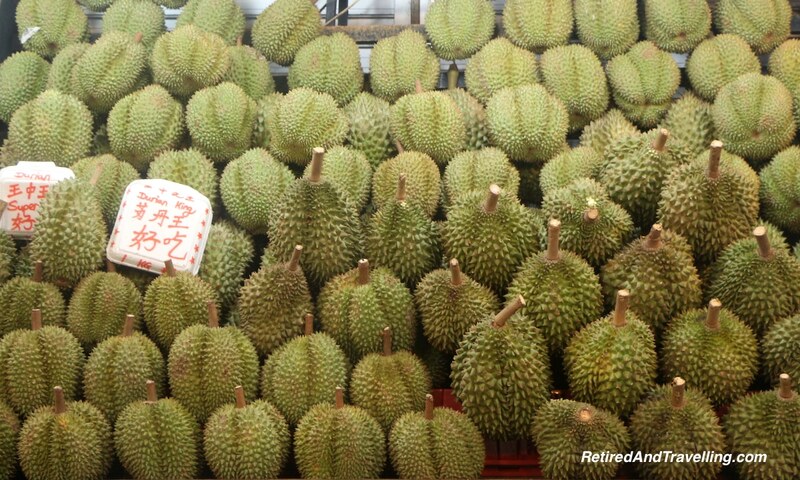 But we did avoid the Durian fruit! 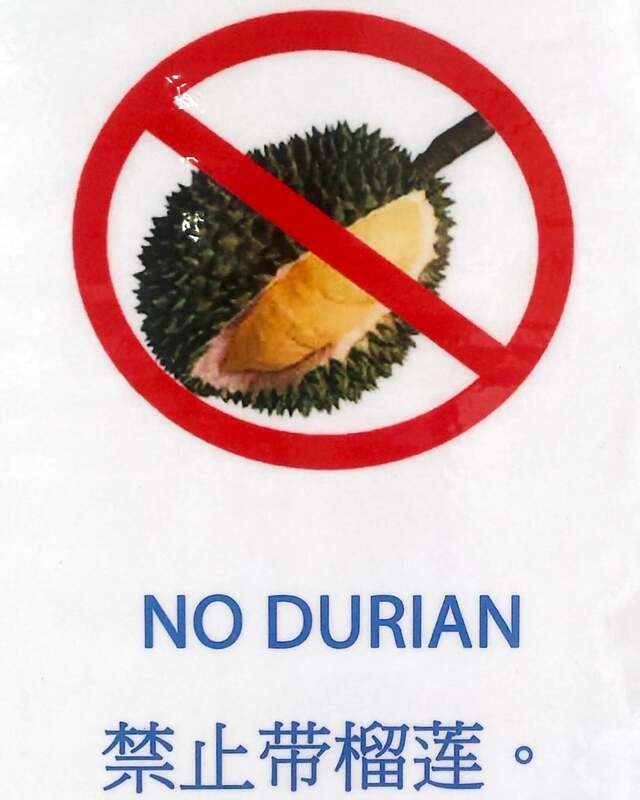 With signs posted everywhere for “No Durian”, we wondered where all the Durian in the shops went! 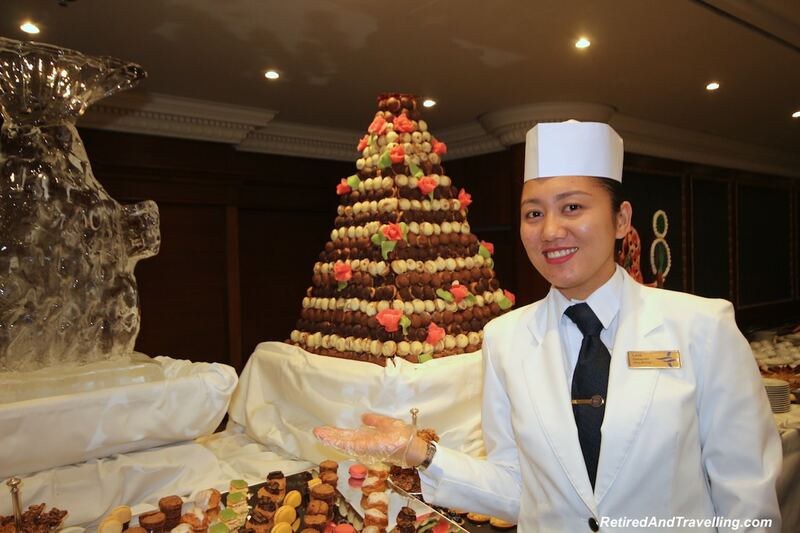 Food and travel in 2016 was often very sweet! David is a chocoholic. He is very particular about it being high quality dark chocolate. Of course, you can only judge the quality with a taste test. In 2016, a lot of chocolate got sampled! If we are snobs about Italian food, we are also getting to be snobs about coffee. There was no turning back after we bought a great cappuccino machine for home. The search for just the right coffee bean began. 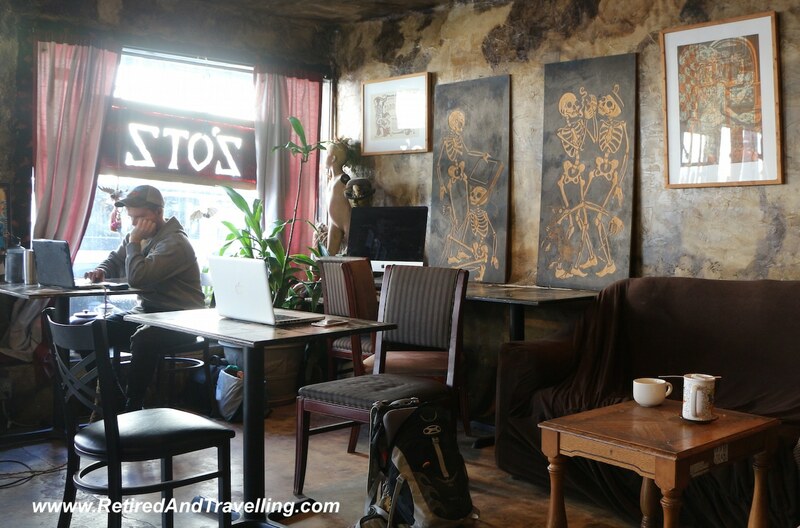 When we travel, we are always on the lookout for smaller, local coffee shops. Sometimes we are lucky and get great locally grown coffee beans. 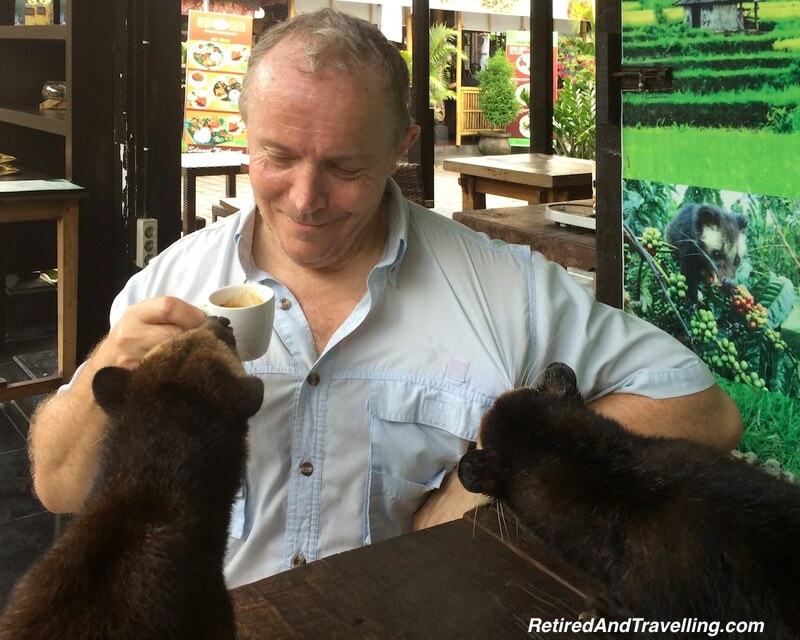 In 2016, we travelled to Bali and even tried Kopi Luwak coffee. The shop we visited by the Tanahlot Temple in Canngu even had their luwaks around to entertain the tourists. Even if it is the most expensive coffee in the world, it was not the best coffee we have had. 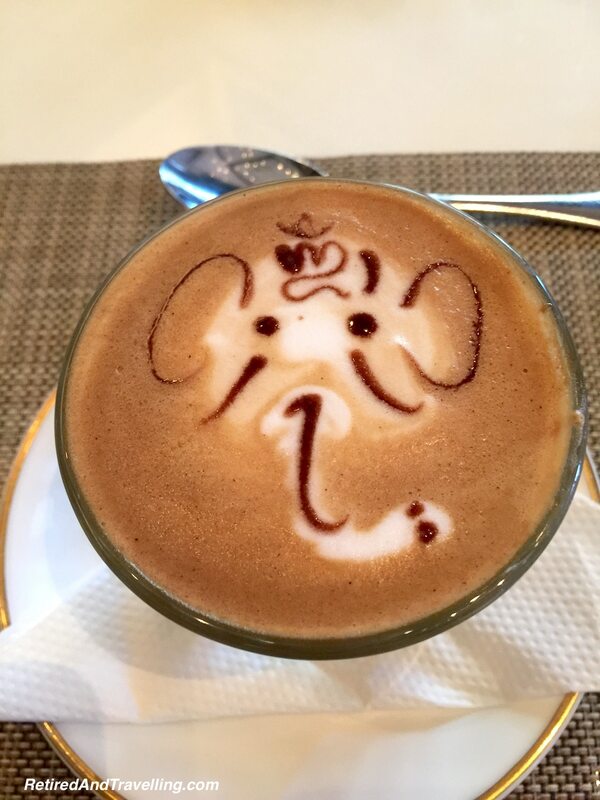 And if we drink a cappuccino for great taste, we often enjoy a cappuccino for the great artistry. 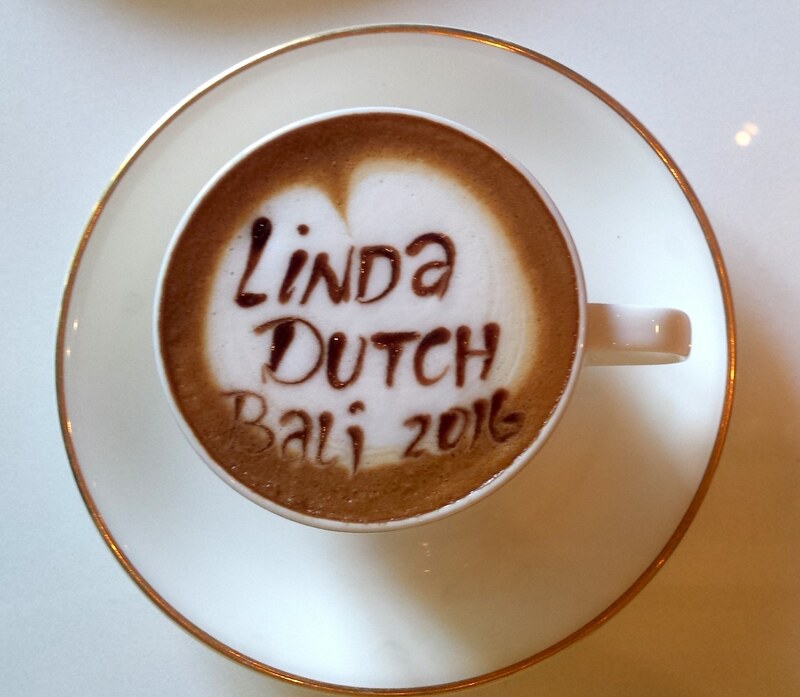 We were spoiled every morning at our resort in Bali with a morning surprise. In 2016, we made a new friend. 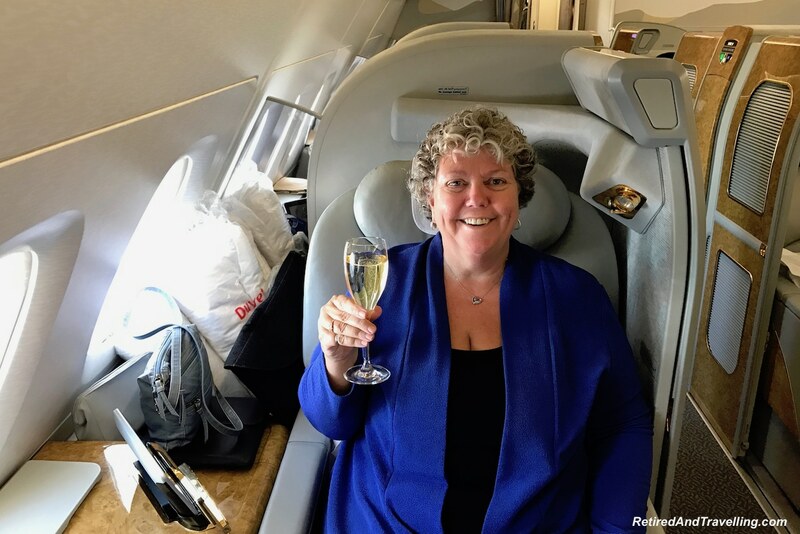 Pam is “Always5Star” and known for her champagne travel! 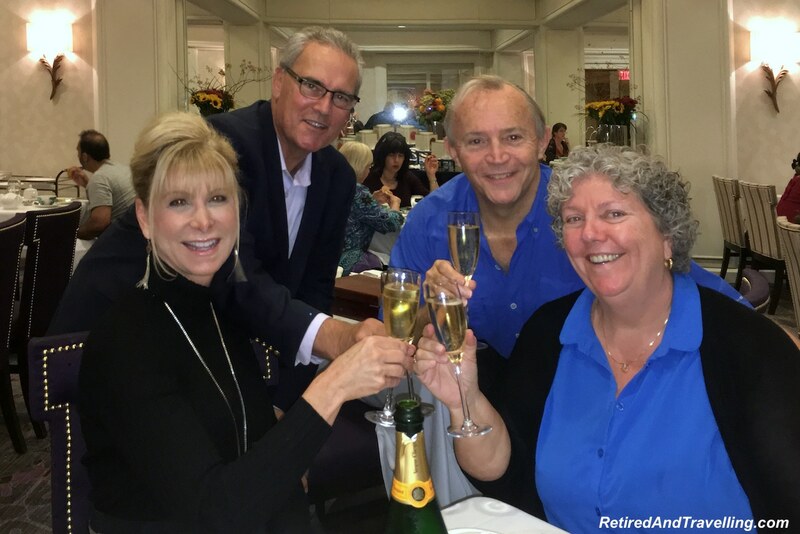 We found lots of opportunity on our 2016 travels to send Pam a champagne toast! 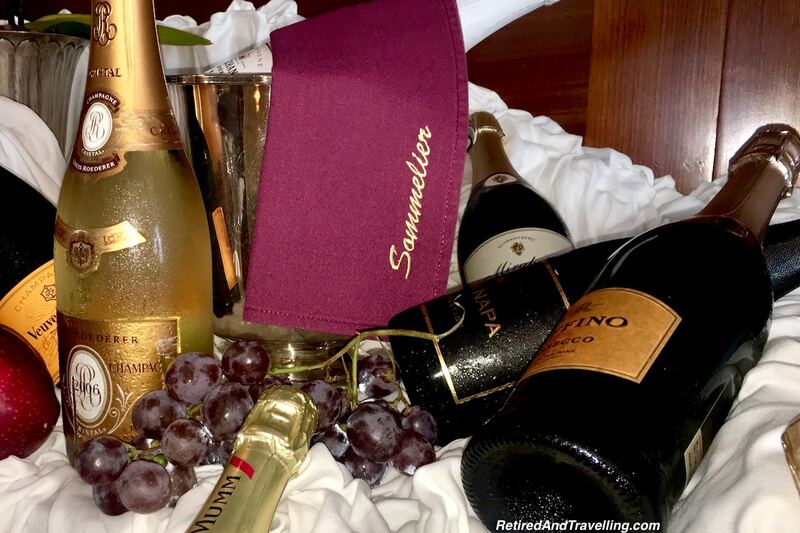 If I wasn’t looking for champagne, you would find me looking for an Aperole Spritz! We found this distinctive orange cocktail when travelling in Italy. It is not always easy to find a bar with Aperole in Toronto and sometimes they can’t even follow the recipe on the bottle! 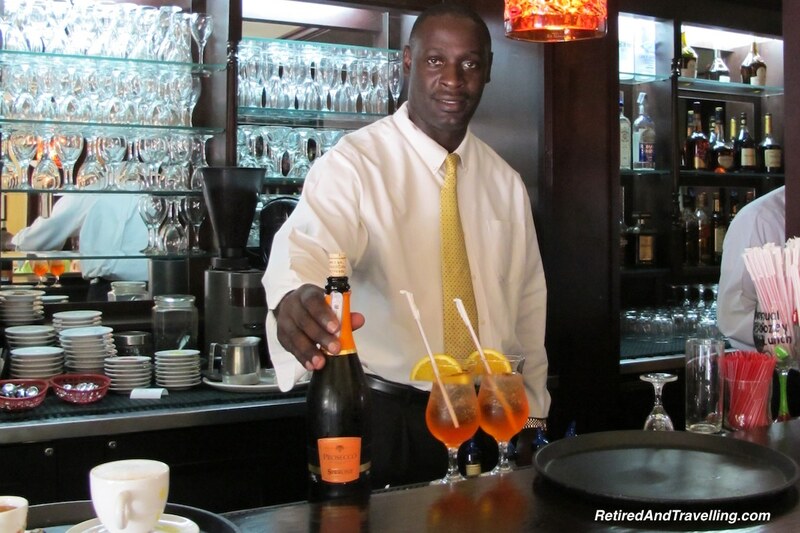 We should not have been surprised when we saw that Aperole Spritz was a drink special on our Oceania Cruises ship. It goes with the great Italian food. 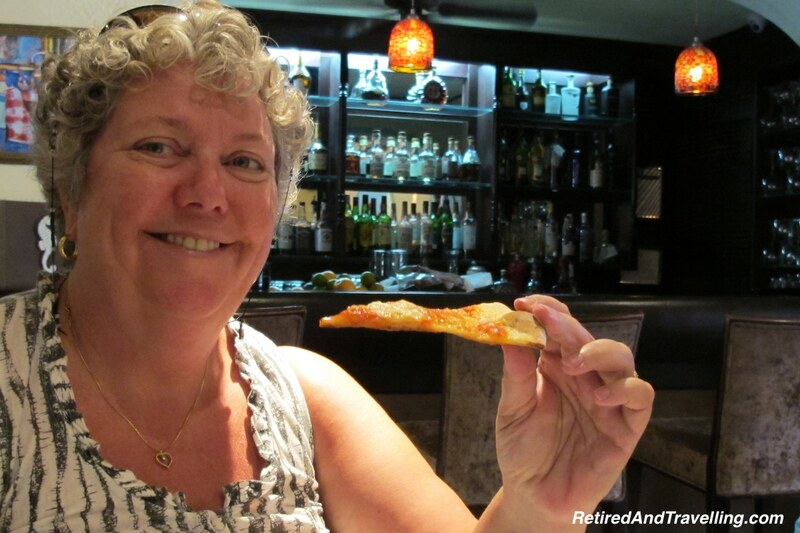 We were more surprised to find we could get a great Aperole Spritz on our pizza quest in Nassau, Bahamas! 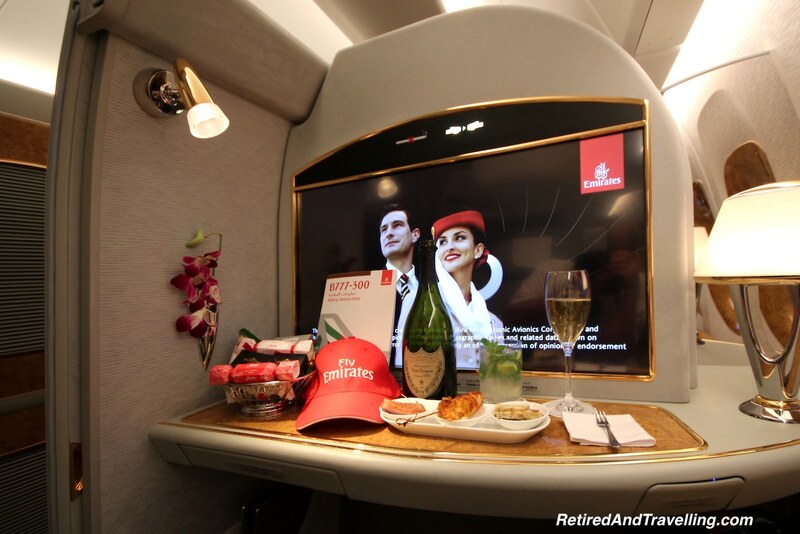 We found lots of food and travel in 2016 to toast! As we travelled in 2016, we found lots of great food. Some was not really to our taste. Other things stretched our food boundaries. And many favourites were enjoyed with a new view! We look forward to what 2017 will bring! What was your favourite destination for food and travel in 2016? How amazing to have the opportunity to try new foods. I like spice. Not too spicy though. As for FISH ..Please please. I love it. 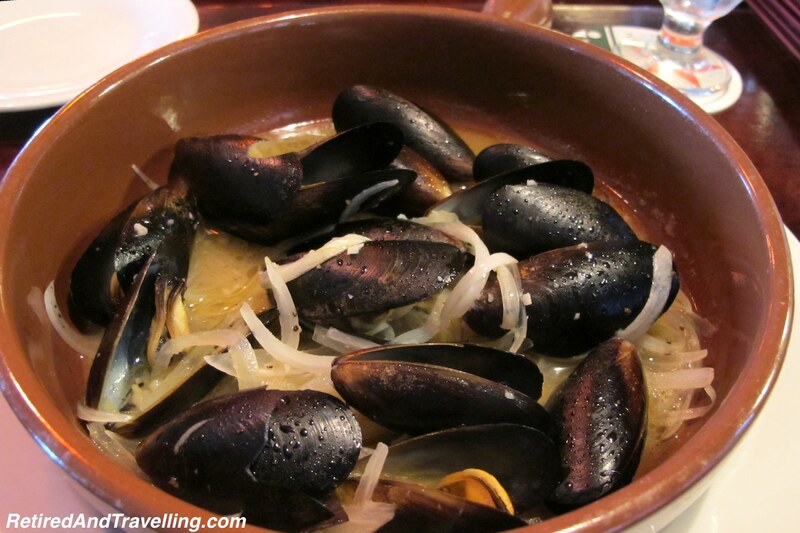 When in Spain I had Fish and more Fish!! I am also a DARK choclate fan. I will try desserts but not huge on them. 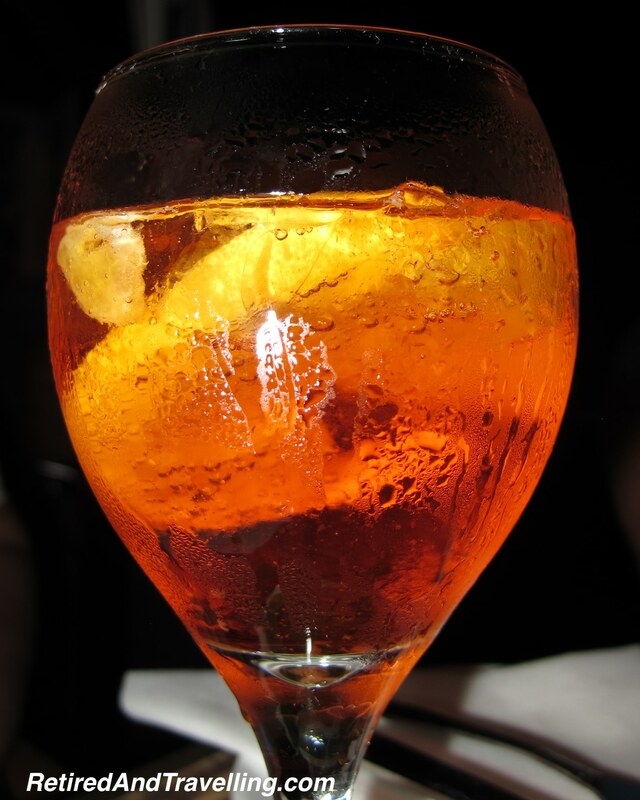 What can I say about italian foods and Aperol spritz…🍸🍸🍸 my all time favourite. I was in Montreal a few years ago and cousins raved on and on about Poutine ..sorry not one for me. I shuddered when I saw it. But we did have some fantastic Gelato! .. Thanks for this super post.